I assume if you're a vegetarian, you don't have a leather wallet right? 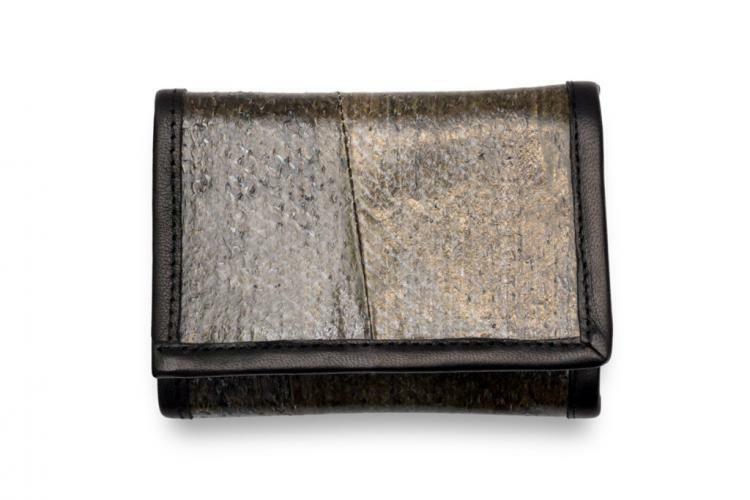 Well, since you still eat fish, I assume it's ok to have a wallet that's made from fish leather correct? 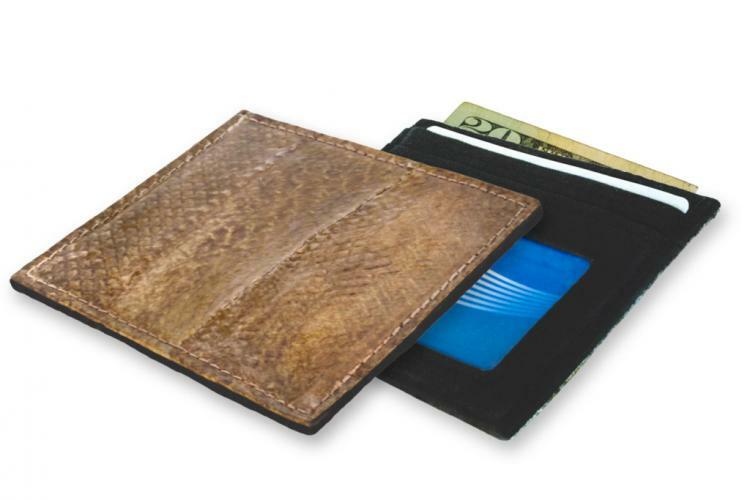 This company makes unique wallets that are made from real Alaskan Salmon that even display the scales of the fish right on the outside of the wallet. 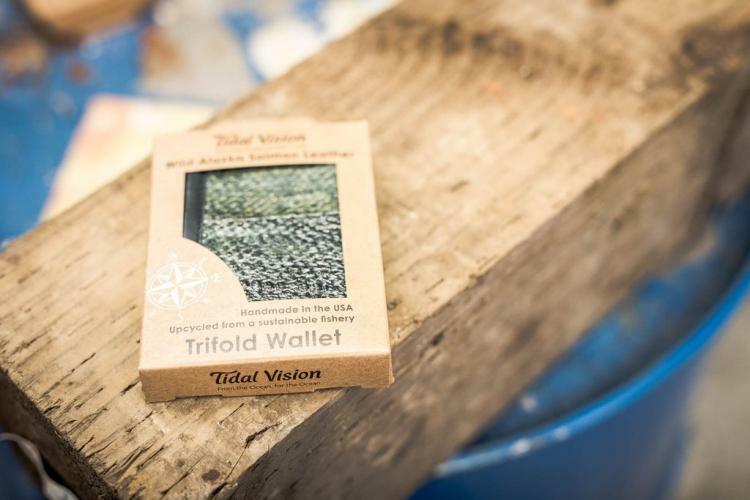 Salmon leather is usually discarded after taking the meat from the fish, which is where Tidal Vision, the company that makes these Salmon wallets gets the fish skin to make them. 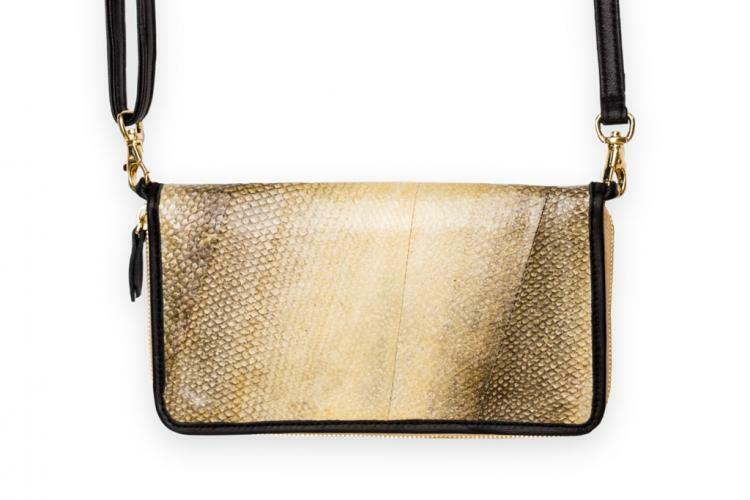 Not only is this a sustainable way to make wallets, but it gives the wallets a very unique and creative look that will show people what you stand for, or might just let people know much you love salmon! 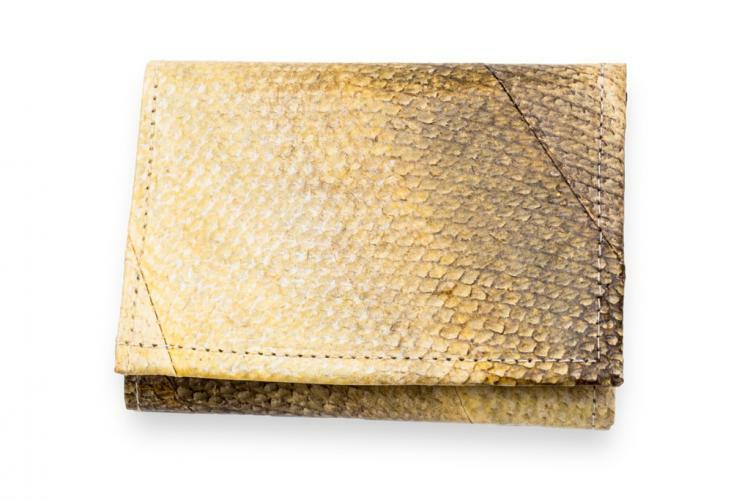 Sure to be a conversation piece each time you take out your wallet to make a payment, the Salmon leather wallets are made using an innovative and all-natural process using vegetable based tanning oils. 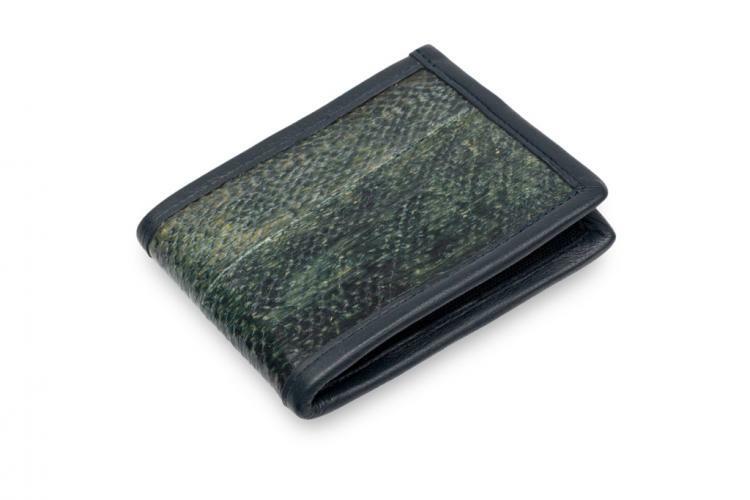 Plus each salmon wallet will have it's own unique look as each one is made with the scales of a different fish. 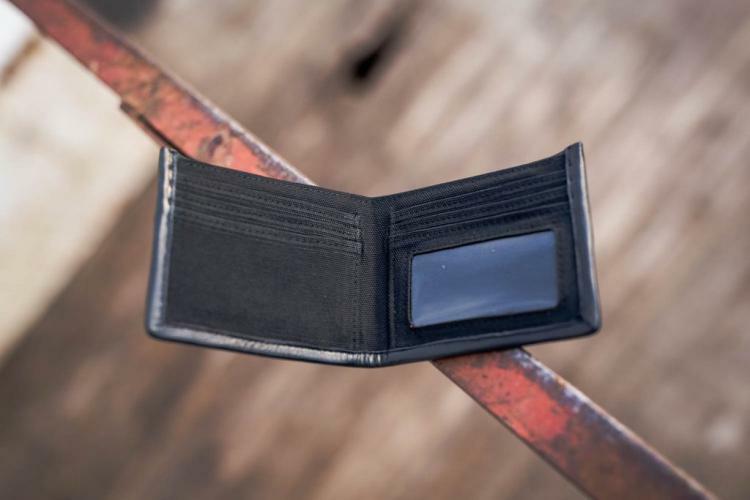 Not in for a new wallet? 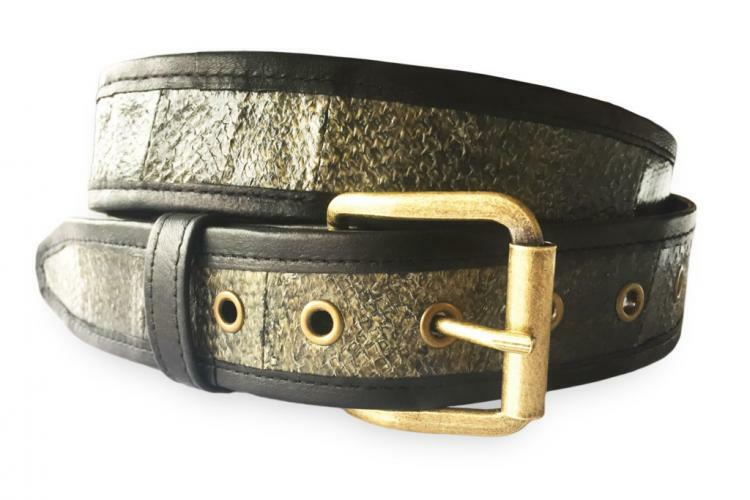 The company also makes other goods from Salmon leather, such as belts and clutches. 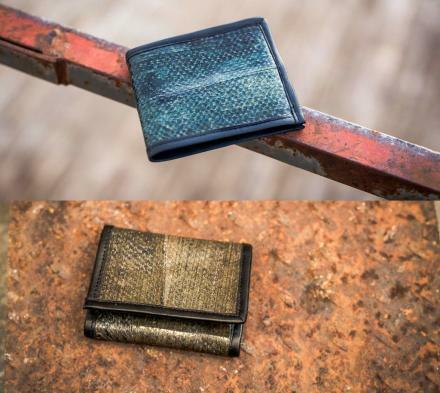 The salmon skin wallets that they make come in a few different version to choose from, including a minimalist non-folding wallet, a bi-fold, and a tri-fold. 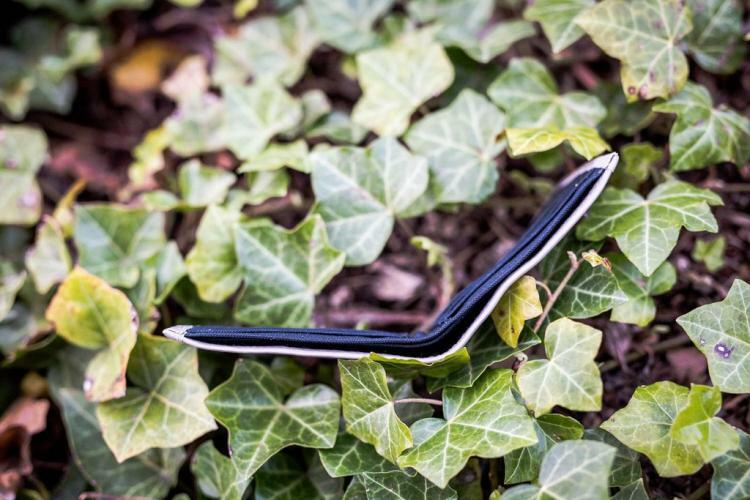 Each Salmon wallet comes in a few different colors to choose from, are handmade in the USA, and have a naturally textured look with a durable glossy waterproof finish. 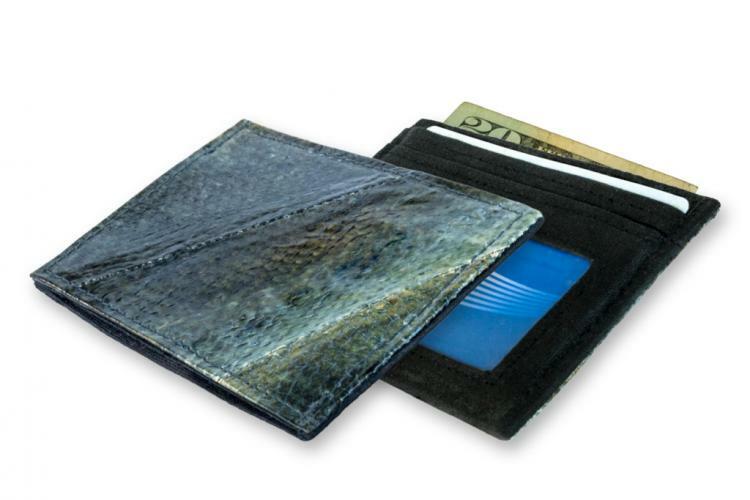 Check out the Salmon wallets in action via the video below.